Introducing POWER FABRIC new skin-perfecting products: the stretchable concealer, foundation balm and new liquid foundation shades. Now the range offers even more products you can rely on to create the inner confidence that comes from a flawless complexion. Reveal your inner power with POWER FABRIC's new face make up range. Combining a second-skin feel with high coverage, the POWER FABRIC range allows the creation of a complete long-wear make-up routine. The foundation, concealer and foundation balm act together to blur away imperfections. Take the power, achieve a flawless complexion. The POWER FABRIC line allows you to harness the inner power brought to you by feeling good about your complexion. Are you ready to reveal your inner power? 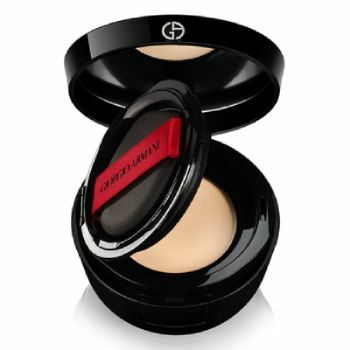 Correct, conceal, cover without creasing. The new POWER FABRIC HIGH COVERAGE STRETCHABLE CONCEALER comes in 20 shades and hides all imperfections from dark circles to redness to blemishes, without ever creasing. The "stretchable" formula relases oils over time, creating a comfortable and fresh feeling throughout the day. Its precise, ergonomic applicator allows several applicaton techniques, from blending over large areas, to targeted coverage. Want to feel the power of skin perfection? 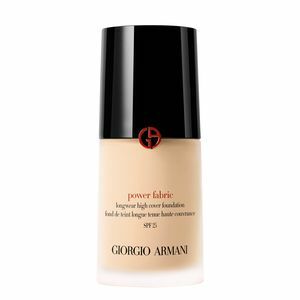 With its brand new shades, the award-winning POWER FABRIC LONGWEAR HIGH COVER FOUNDATION now provides a total of 30 radiant hues to suit every skin tone. The combination of ultra-fine pigments and three different oils delivers a fine, lightweight sensation and offers a long lasting finish that remains fresh looking all day long. What more could you ask for? Looking for a matte complexion on-the go? Thanks to its transformative balm to cream to powder formulation, the new POWER FABRIC HIGH COVERAGE FOUNDATION BALM ensures an easy application and a velvety finish that lasts throughlut the day. Available in 12 shades, which one is right for you? Full coverage fine formula concealer. Correct, conceal, cover without creasing. High coverage foundation balm in on-the-go format for a matte, velvety finish throughout the day. 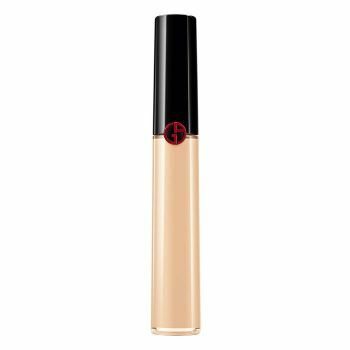 Full coverage long-wear liquid foundation with SPF25. Now in 30 shades.